Iglesia Del Camino has a vision for the extension of the gospel through the moral, spiritual, and economic support of ministries in foreign nations. Support is freely given with the purpose of strengthening and affirming the work of the Lord Jesus Christ throughout the world. Our partnership includes churches, drug and alcohol rehab centers, and children’s ministry centers. Presently the work is concentrated in Ojinaga and Juarez in the northern state of Chihuahua Mexico. 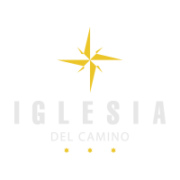 Under the Biblical mandate to remember those in prisons as if chained with them, Iglesia Del Camino under the leadership of Raul Barrera has been ministering to those incarcerated in the Odessa City jail and in the Federal Prison System in Big Spring Texas. The prison ministry team shares the eternal redemption message, that has the power to transform the hearts of men, through song, preaching, and personal testimonies. Training young men and women to build a Godly character by creating a culture of honor and service in order to reach their God given purpose through discipleship and practical leadership.